So we got on with our plans. We submitted an enquiry through the SOFT UK website. We ordered some tiny, tiny baby clothes online (from here and here), and Rumer's rainbow blanket. We thought this would service nicely as her burial shroud. We contacted the Natural Death Centre to get some more information on home burial, and Chris contacted some people who took casts of babies' hands and feet. They said they only did live babies, but pointed him in the direction of someone who did casts of stillborn babies, having herself had a stillbirth. We spoke to my parents on the phone and called Chris's parents, and arranged a lunch with the latter at the weekend. We spent our week dealing with the responses. Chris was back at work, on early shifts, and he got googling - mostly to answer that burning question he had: "What do babies with trisomy 18 die of?" He found the Medscape write-up of trisomy 18, which led him to Cereda and Carey's 2012 paper, an excellent overview of the condition, and one that suggested that there may be a chance of survival, at least for a while, with treatment. He called to let me know about it. I was actually a bit sceptical at first, but read it, and it certainly was a ray of hope in a very dark world. Survival, medical options: you can do something! I got googling too, and we began slowly to find some of the research that would later contribute to our desired approach for Rumer. In general any medical issues facing a newborn will be assessed and treated as a matter of course, however if a T18 diagnosis has been confirmed then hospitals are less likely to address these issues. This may not be the case at the hospital you are attending but I feel it should be a part of the discussion you have with them to see where they stand on this. Also as part of your dialogue with the hospital it may be useful to establish a birth plan so you can stipulate what your expectations are with regard to care for you and your daughter. This was the week in which, while we were busy planning a stillbirth and a burial, we began to move inexorably in the direction of an active treatment approach. We had the stillbirth plan; we were dealing every day with a new landscaper regarding the garden; but we were also finding out that what we had thought, what we had believed about trisomy 18, was wrong. It was a severely life-limiting diagnosis, but it wasn't hopeless. That 'home birth and palliative care', as we'd envisaged since receiving the diagnosis, was simply a recipe for the early death. A self-fulfilling prophecy: and that was not what we wanted. 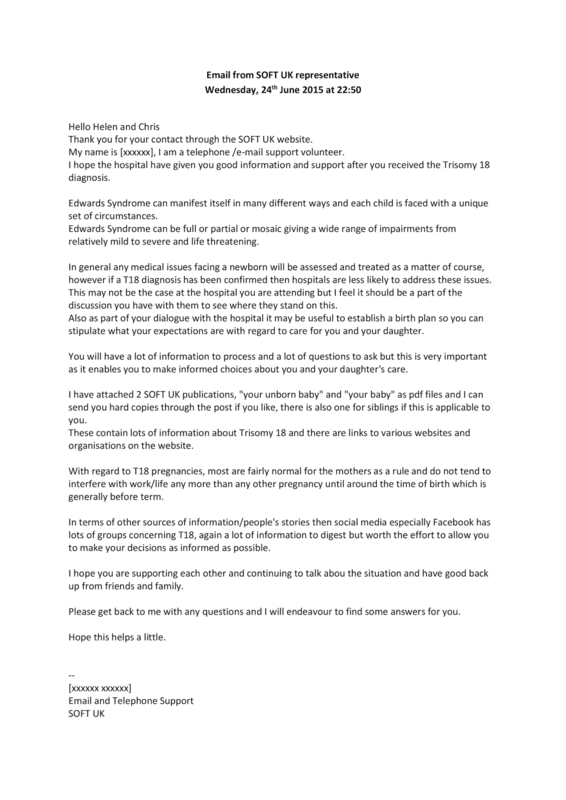 We had a midwife appointment on the Monday coming up, and we hoped to share our stillbirth plan and ask some of the clinical questions we had about stillbirth, but also to share our research and our hopes. I suspected there might be some initial opposition from the neonatal team, so we started to chase those appointments up, but I genuinely thought they'd be interested and willing to work with us once they realised the research was out there! The next week I was sadly to be proved wrong.